In 2017, office culture as we know it is being completely reinvented. Whether it’s new communication tools, groundbreaking technology or enhanced methods of teleworking, change is coming at a relentless pace. Possibly the clearest indicator of the shift in the workplace is the evolution of the actual workspace. 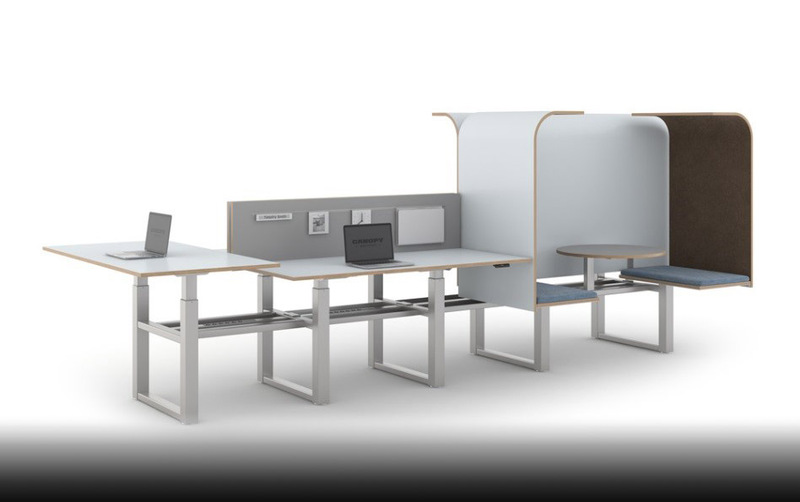 In many offices today, the isolated rooms and clunky cubicles are moving out in favor of the reliable and adaptable workbench. But it’s no longer a “one-size-fits-all” crude wood table. Today’s benches are built with today’s workers and their preference for collaboration in mind. The evolution of benching starts with Benching 1.0. These large, stand-alone solutions were originally designed for open floor plans and offered limited sound or visual barriers, and little to no flexibility. Some of the earliest adopters of Benching 1.0 included IT departments, product development teams and creative companies like advertising and marketing agencies. While great for getting creative minds to work together, the benches available at the time were larger, heavier, more expensive and took up more space. Benching 2.0 addressed some of the limitations from the first generation, but still included its own unique setbacks. 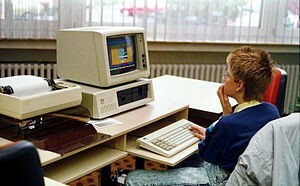 Later iterations of the workspace were designed with integration in mind. Features like lower storage and height-adjustable tables made blending in with existing office furniture easier. 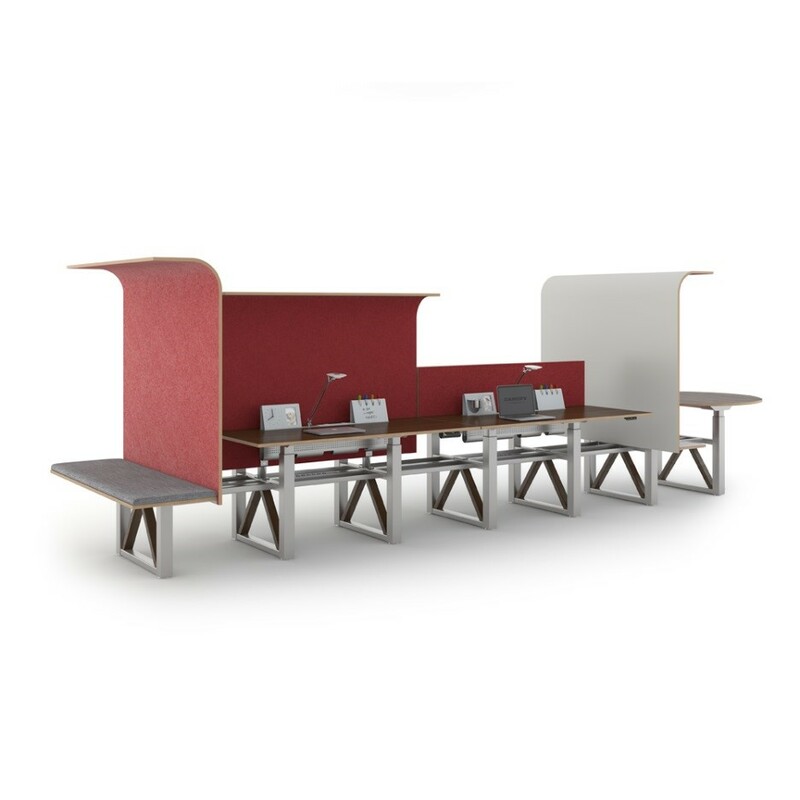 Smaller and more mobile, the Benching 2.0 solution took up less room, leaving more available square footage to be used for collaborative or common areas like breakout rooms. The smaller benches also addressed the cost barrier by finally being priced lower than panel-based cubicles. Following the 2008 recession, businesses began focusing on alternative workspaces that would provide optimum real estate efficiency. With lower-priced, more versatile benching solutions already gaining in popularity, the time was right for the category to make an even bigger impact on office culture. As modern demands continued to evolve and the call for greater collaboration grew louder, the enterprise entered the phase where we find ourselves today: Benching 3.0. The key element of Benching 3.0, and what makes it truly unique from the first two generations, is that it is no longer a fixed furniture solution. With the wide variety of available moving parts, a single install can transform kinetically without major reconfiguration of the space or disruption to surrounding work stations. Dividers lower and raise with minimal effort based on the user’s need for privacy. Cocoon inspired sails can rotate out or tuck away to create ideation and collaborative zones instantaneously within a single space. The static era of benching is over. Benching 3.0 reinvents flexibility by capitalizing on user choice, engagement and the multiple uses of a single work zone, bringing greater value to less real-estate. Today’s workspaces are smaller, lighter and incredibly versatile, providing employees with tools that can change to address different needs at any moment. While head-down, focused work is still important, it’s not as vital to a business’ success as the sharing of ideas, inspiration and expertise. 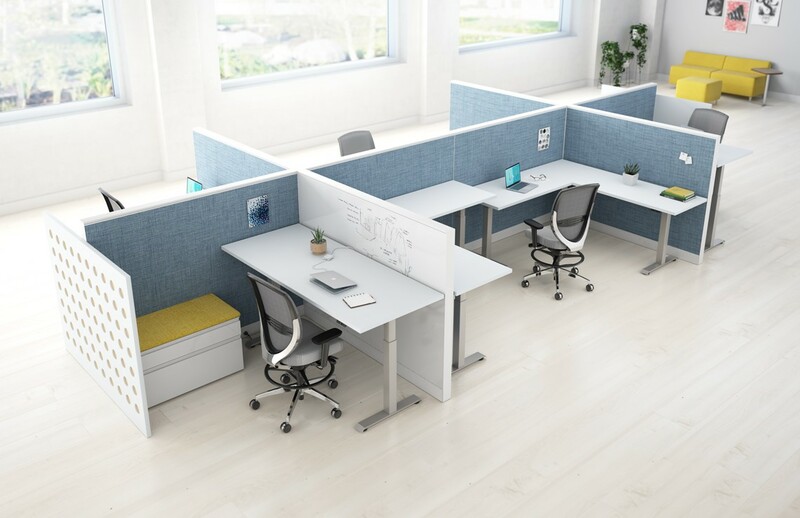 Today’s workers are compelled by Benching 3.0 to move about freely through their work places and share thoughts and ideas when given access to a benching solution that can transform from a seated tabletop to a standing desk, or from an individual pod to a shared breakout space. It’s why Benching has become the norm in European offices over the last decade. Contemporary designers have fully embraced the clean aesthetic and efficient appeal of the modular workstations. Gone are the days when the majority of workers preferred to keep to themselves, quietly powering through a to-do-list of scheduled tasks. Now, the enterprise is seeing that networking and collaboration are the keys to unlocking great ideas and to keeping talented employees fully engaged. On top of the social and creative advantages provided, the monetary benefits are hard to beat. Any problems finding efficiencies and ways to save real estate costs are solved by Benching 3.0, which offers a solution that can help companies quickly adapt to changing business conditions and needs. When developing benching solutions here at INTEC, we consider all options right from the beginning of the design process, once a concept has been presented to our project partner. Much of the flow of a floor plan can be dictated by the furniture that is selected to fill the space. By planning benching designs at the outset, we can incorporate every other aspect of the design, from breakout spaces to artwork and lighting, into an office that fits the cohesive brand identity our designers helped define during the initial visioning session. Whether it’s through talks with the CEO, CFO or other decision makers, we get to the core of who will be using the space on a day-to-day basis, determine what they do and how they work, and plan our furniture solutions accordingly. It’s our job to ensure that an employee’s workstation is outfitted so that they can work as efficiently and effectively as possible, and for many of today’s workers, Benching 3.0 more than meets the demand. The evolution of benching has increased workplace flexibility, versatility and collaborative potential tenfold, making it the optimal solution for many of today’s premiere businesses. Not only does benching solve real estate problems that could otherwise hinder a company, it invites that company’s employees to expand their critical and creative thinking skills and improve their social interaction with the rest of the team, leading to breakthrough ideas, groundbreaking products and new levels of success. If Benching 3.0 has taken business this far, the trajectory for Benching 4.0 is limitless.